Flowers are nice and all, but if you're gifted a bouquet, it's just the sad reality: your pretty plants will wilt and die eventually, no matter how often you water and care for them. Bummer, right? At least they got to sit on your desk or at your home and make you smile whenever you passed by. But what if your bouquet went one step further? What if you ... could eat it? What if it were made out of meat? Does this sound like crazy talk? It did for us too, when we first heard about it! Get it? "Broquets," or bouquets for bros, according to the site. Anyway, for $53, you can send a dozen of these bad boys to anywhere in the United States, or on an overseas military base or Canada. Just a warning: There is a little bit of assembly required. 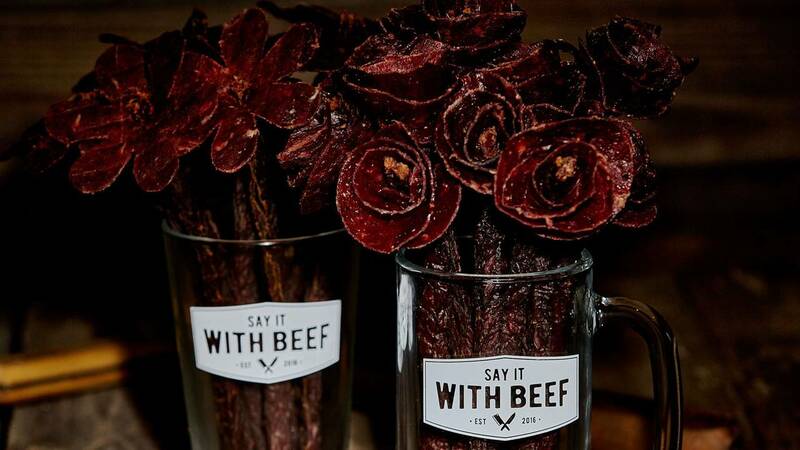 It sounds like you have to set up the arrangement yourself, into a beer mug or pint glass -- also, you can choose between beef jerky roses or beef jerky daisies. See? So many options! 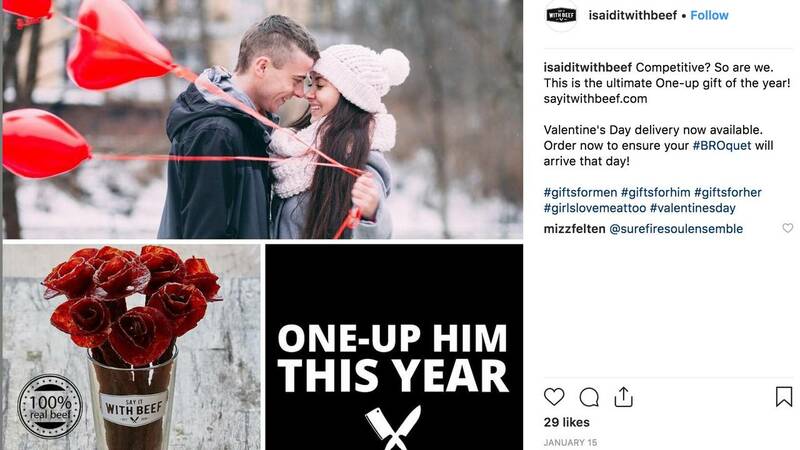 Oh, and yes, this obviously makes a pretty funny and spot-on Valentine's Day present, if you have someone in your life who would go crazy for an arrangement of dried beef. But you can send these year-round -- don't confine yourself to just the next couple of weeks! The company offers original, teriyaki and pepper flavors, or you can choose a mix. And if you're not ready to commit to a full dozen, half-orders are available, and you even have the choice to add "bropourri" to your order. (Whatever the heck that is). If you order now, it looks like the meat-lover in your life will get the gift in time for Feb. 14. Is this insane, or the most perfect gift of all time? Please weigh in below.